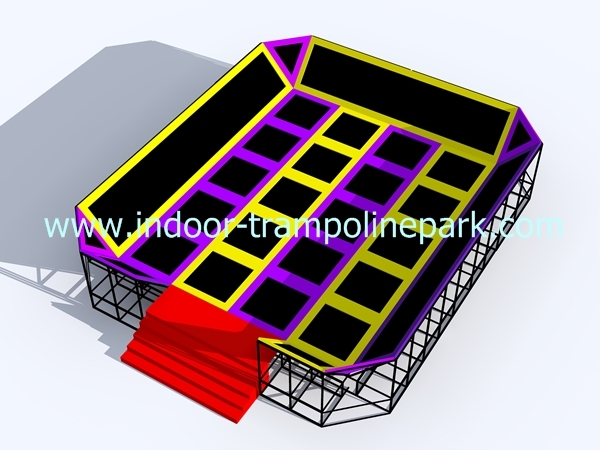 The main court trampoline or jump arena is the largest trampoline in your trampoline park. 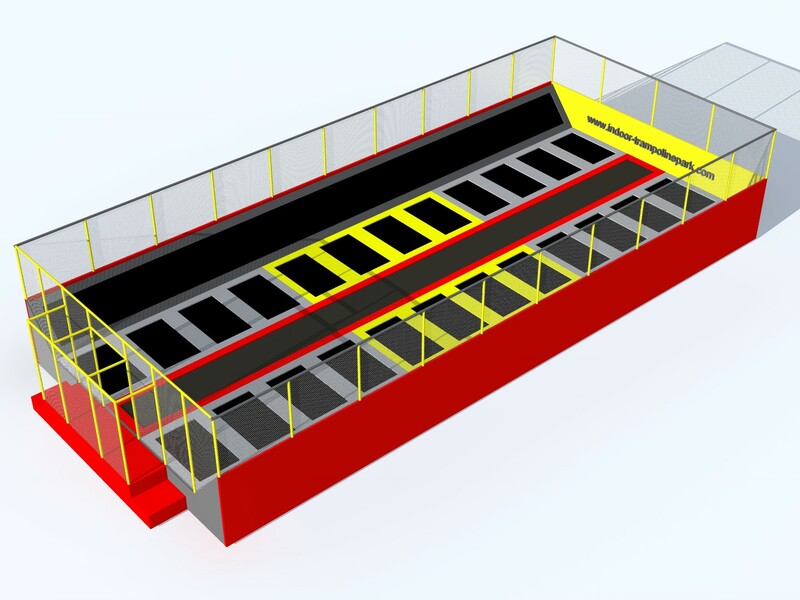 Rectangle, in angle ... with our construction model we can do almost all kind of installation model. 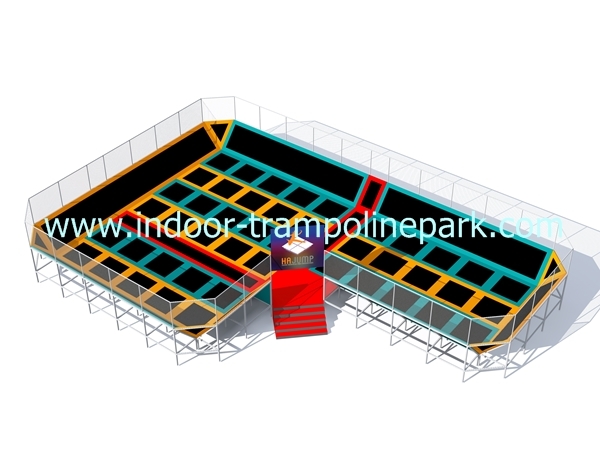 Hajump main court : for sport and leisure, we a the strongest for all your "on measure"! 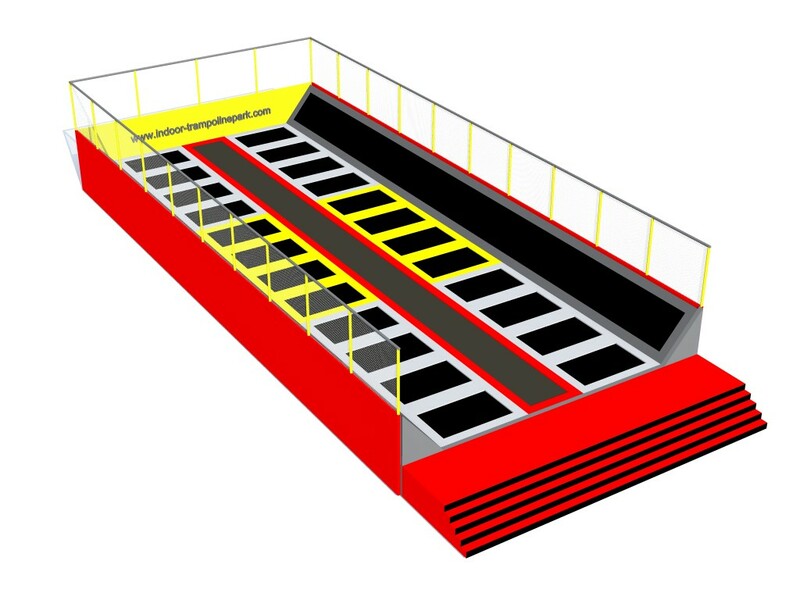 Drawing your aow maincourt ? 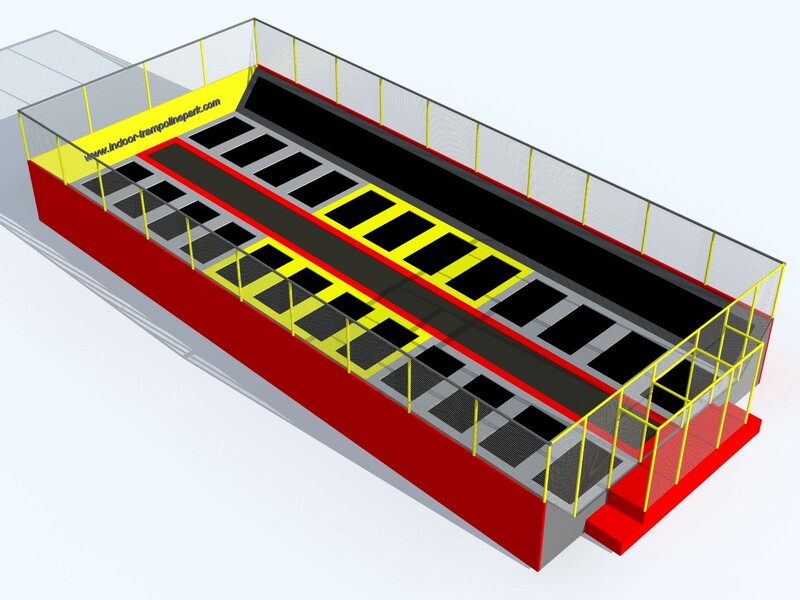 Contact us with the dimensions and free height. 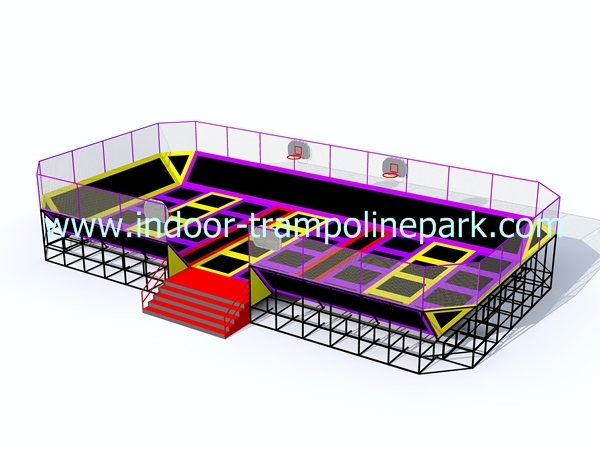 We will draw your maincourt that fit in the area where you will install the trampoline park zones. No! Our construction can be provided for outdoor use as well. 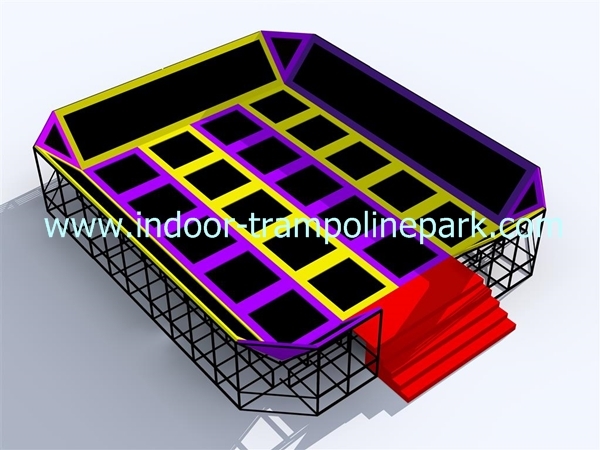 Please feel free to ask all information if you want to install your outdoor trampoline zone. We named our biggest zones the maincourt zones. 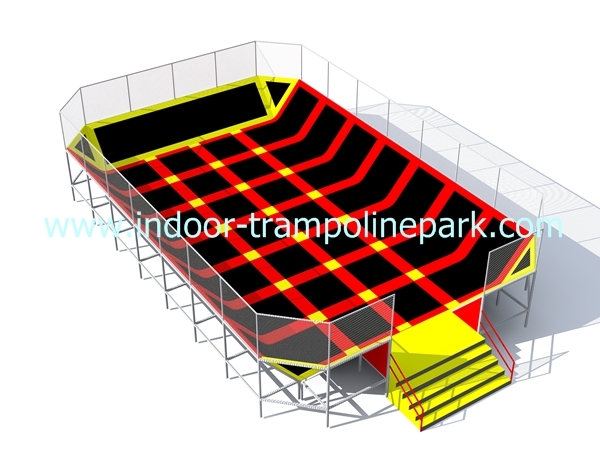 But Jump Arena or Jump area will be also popular when you use this to advertise with your website!